Businesses and individuals who often deal with PDF documents. 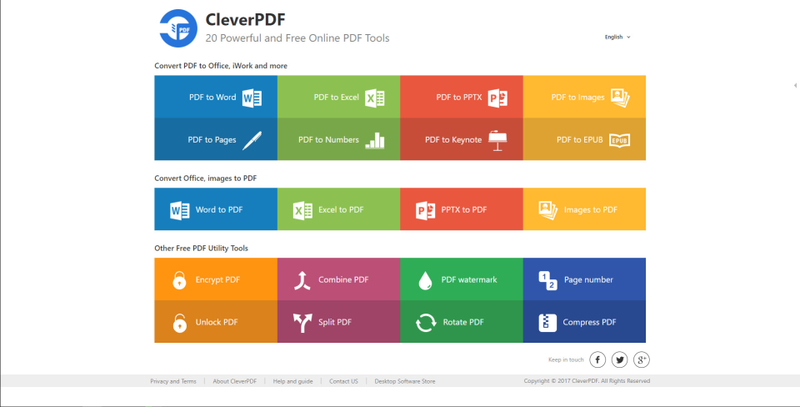 CleverPDF helps users get the PDF job done without any cost and enhance productivity. 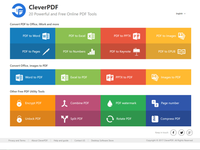 The PDF tools provided on CleverPDF are completely free. 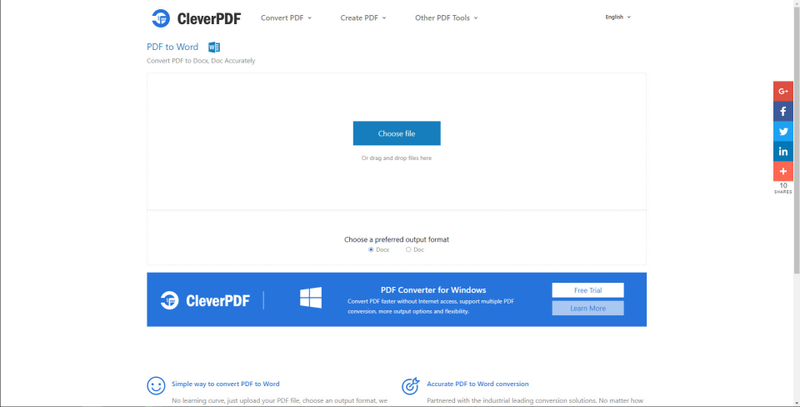 Free online document conversion and editing tool including PDF to Office, iWork conversion, Office to PDF conversion, compress PDF, merge/split PDF, unlock/encrypt PDF, and more. 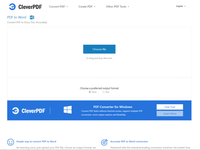 Pros: it is a very very useful tool that i use regularly whenever i have the need to convert PDF files to ms word, especially when I am on the ipad or mobile which does not have any such free tool (part of some paid softwares though). since it is free, it is all goodness for it's price of zero. there are no annoying ads etc on the website, making the experience very smooth. i have never encountered any problems with the servers that seem to be online and ready any time. so, it is really handy when for example i hve to present a paper in the journal club and need to convert the PDF formate paper to Powerpoint (and before that, i usually convert to ms word for text editing , which it can do to). Cons: the software requires connection to the internet. since the documents have to be uploaded, you can't use it when confidential stuff is to be converted. no desktop version except for MAC, who uses mac? when the document is converted, it is very messed up. when acess to ms word is there, the conversion is useless, because ms office has this feature built into it. Overall: a must-have software for moments when a document has to be converted to or from PDF and you lack any preinstalled app/software that can do that. Dear Waleed, thanks for your review and your feedback. We appreciate it. Sorry to hear that the converted Word file is messed up, we'd love to figure it out. Could you please contact us, we'll try to solve the problem and convert it for you. Normally the converted file will look like the original PDF. We also offer the Windows version on the 'Desktop software store', the link is available at the bottom of the website. Overall: After a rough start, it is fine . The software offers many extra and it is working smoothly for us. another program to convert pdf files. Pros: 1.- Like other programs of this type, cleverpdf is fast and easy to use. 2.- You can convert the pdf files to other formats (.doc, .ppt, .jpeg), as well as you can convert the office files to pdf. You can also create watermarks, rotate files, cut pdf, join pdf, list the sheets and other things. 3.- It has a web version and a desktop version. so you can choose which is the most convenient for you. Cons: There is nothing novel. The truth is that it is just another program that manages pdf files and allows you to convert them to other formats, rotate them, create watermarks and all those actions that you can find in other programs of this type.